Eagan Luxury Real Estate is a highly skilled team of professionals! If you want a professional, knowledgeable and excellent real estate agent then Debi is the right person for you. She and the real estate agency are A++ and you will not be disappointed. I have used other agencies and agents before, but none has ever worked so hard to provide me this quality of service. My husband and I were looking to buy a home in St. Petersburg, FL. I was looking for an agent that could do a lot of the leg work for me, with my husband being in Afghanistan and me working 25 minutes south it was difficult. But Debi really stepped up to the plate. She worked so hard for us and I would highly recommend her to anyone. Thanks Debi!!! My husband and I were looking for a house while he was stationed in Afghanistan. We had been looking for 1 year with another agent and weren't getting the results we expected. After some research I found Debi and she immediately hit the ground running for us and within weeks we found our dream home. Debi was very compassionate about our situation and supplied us with all the information we needed to make the process as easy as possible. Her follow through is amazing and ultimately has become a good friend. Debi Egan listed our home after being on the market for over a year. She sold our property in just a few weeks. We had complete faith in her marketing, showing, follow through, and closing skills. We would recommend Debi to anyone looking for an agent they can trust to sell their home in an efficient and professional way. We met Debi at random when searching for homes online. She was the listing agent for a home that we wanted to see in person. Debi responded quickly and was willing to work around our schedules. We explained to Debi from the start that we were in no rush and wanted to do things at our own pace. She was patient with us through a 6-month process, touching base every so often and sending us homes within our preferences. When we finally found the one, she was helpful in answering all our questions and even filled in the blanks when we didn't know what questions to ask. We ended up in a bidding war but came out on top thanks to Debi's expertise. Because of Debi, we are enjoying the first home of our dreams. We keep in touch with Debi, so much so that she was invited to our engagement party the following year. We have also referred one of our family members that is moving here from NC. Do yourself a favor and go with Debi!!! Debi is very professional and personable. She was very helpful to us during the entire process. We liked her so much that we asked her to help us sell our old place as well as purchase the new one. 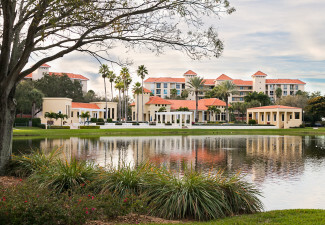 My husband and I were searching for a new Florida condominium on-line and saw some of Debi Eagan's listings. The descriptions of the properties and the attractive photos drew us to her listings. In meeting Debi, she was able to evaluate our needs and preferences in a condominium within the first hour. She was very knowledgeable about the housing market in St. Petersburg, and extremely responsive and professional. Within two weeks, Debi helped us find the perfect next condo for us. 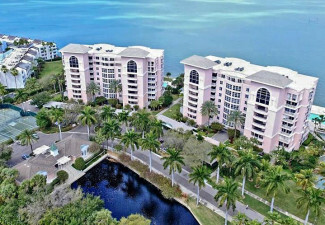 We had the utmost trust and confidence in Debi and asked her to sell our current Florida condominium. She was extremely helpful in getting our home ready for showings and open houses and helping us price it fairly and competitively. With Debi's professionalism and diligence, we sold sell our condo in two weeks. Debi Eagan is a gem in the St. Petersburg real estate market. We would highly recommend her if you are looking for a bright, intuitive real estate agent. We encourage anyone who is thinking of selling or buying property in the St. Petersburg area to consider Deborah Eagan. She is extremely knowledgeable of current market conditions. Her professionalism, attention to detail, and follow-through are second to none. We highly recommend her for your next real estate transaction. Debbie took over the sale of our Dolphin Cay condo with professionalism, enthusiasm, knowledge of the complex (she lives in the complex, also) and an excellent sales plan. She was very proactive with her sales plan, sold the condo quickly and made our move very easy! She is recommended without reservation! Being an absentee owner while trying to sell a home can be a very trying experience, but Debi made the entire process go so seamless and took so much pressure off my wife and I, it was one of the easiest home sales I ever went through. Debi worked hard to stage the property after we took almost everything with us, she handled minor issues with contractors for me, and sold the home in 5 weeks to top it all off. During the process she was extremely communicative when I needed to talk to her, and her knowledge of the St. Pete area is second to no one. I hope to move back to St. Pete some day and I can assure you the first call I will make will be to Debi. Bought a home in 2015 in Central Oak Park, Saint Petersburg, FL 33711. My wife and I can't say enough good about Debi! We are so impressed by her that we asked her to list two other properties we have for sale. That says it all in addition to the fact that my wife and I trust her! She has gone the extra mile to make us feel as if we are the only clients she has as both the buyers and the sellers. We are veterans at this and have encountered all kinds of Realtors, but hands down Debi is the best of the best! Sold a Condo home in 2016 in Greater Pinellas Point, Saint Petersburg, FL. Debi Eagan sold our condo without us living in town. She ran over to the condo to do things for us that we needed done. She is excellent with communication. She got back to us after every showing. She staged our condo to help with the sale. I highly recommend her. Sold a home in 2016 in Central Oak Park, Saint Petersburg, FL 33711. Debi makes the extremely detailed process of selling a property easy. With knowledge & guidance we never had questions or worries that weren't handled & explained to use in full detail. With Debi your property will get shown! Bought a Single-Family home in 2016 in Historic Old Northeast, Saint Petersburg, FL. Debi is so wonderful and knows the area so well. She helped me find the perfect home and helped me negotiate an amazing price. I highly recommend her. Debi helped me improve the marketability of my condo. She assisted with staging the unit, so it would bring the highest return. I would recommend Debi for any listing or potential buyers. We sold our condo long distance, which we thought would be difficult. Debi's professionalism, commitment and enthusiasm made the process a very easy and pleasant experience for us. Over the past 30 years, y wife and I have worked with no fewer than 15 real estate agents in Indiana, Florida and Colorado. No agent comes close to matching Debi Eagan’s level of professionalism. From prospecting to pricing to selling, Deborah has masterfully addressed each and every nuance from both sides of the table. She has been a blessing. Debi Eagan handled the sale of our condominium. She was extremely professional throughout the process from the photo shoot to the closing. We would highly recommend her to anyone looking for a high-quality real estate agent whether selling or buying a property. From the first time we met Deborah Eagan from Keller Williams, during our realtor interview process, we knew she was the person we wanted to represent us and be the spokesperson for our condo. Her professionalism, knowledge of Dolphin Cay and surrounding areas is what drew us in, but it was her marketing experience that sealed the deal. The MLS video she had done by a photographer was instrumental in showing our condo in a way that people could picture themselves walking through – it captured the water views and feeling of true coastal living. We feel confident in saying that all of Deborah’s efforts and attention to detail are what brought an almost full asking price offer for our condo only one day after listing. From dealing with multiple visits by the buyer, inspections, handling of minor repairs in our absence, to assistance in the sale of items to the new buyer, Deborah made it all happen. We have already passed on Deborah’s name to our close friend who is planning the sale of her home in the area. When my friend asked if we were happy with our realtor – there was no hesitation.